I first heard of Lionsex when I saw them support Black Spiders in Milton Keynes in May of this year, and to be honest despite them being the opening band and having a very short set they were the most impressive band on the night for me, so I've been looking forwards to them releasing an album, and the wait is finally over. The band may look like they spend a couple of hours before a show doing their hair and makeup but don't let that fool you - they can certainly rock with the best of them. The album opens with the twanging bass intro to "Get it". A great song. Jef's vocals really remind me of Billy Idol on this song - no bad thing considering how many records he's sold. M.I.A is a great rock track with plenty of energy. It opens witha driving drum beat before some great guitar work kicks in. "Too good" is another driving high energy rock track which ends with a nice bit of piano work to close it out perfectly. "Smokin out the neighbourhood" cranks the pace up even further - this is a great fast rock track that I definitely want to hear them play live. "Bringing back the heartache" is the obligatory ballad. Jef's vocals are full of passion in this song, and the music complements the vocals perfectly and never overpowering or distracting from them. This is a great album from these Milton Keynes based rockers. You've got great vocals, excellent guitar work, good solid bass and drums and well written songs. They list Guns N’ Roses, Motley Crue and Hanoi Rocks amongst their influences and certainly that sleazy rock feel is evident in these songs. The songs have plenty of energy and passion which makes them perfect for playng live, and having seen them once I definitely look forward to seeing them play live again and hearing them play these songs. 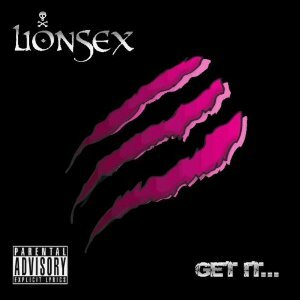 A Damn good album - if you like good sleazy rock then in the words of Lionsex....Get it ! You won't be disappointed with an album this good. what a bunch of crap! seen them on you tube also. Ugly people, ugly music. just NO need for this useless bunch of wannabees!